Having established the importance of tracking Guest Paid ADR in our last post, next in our informational series is getting to the bottom (line), pun intended, of COPE %. Contribution to Operating Profit and Expense percentage (COPE %), also known as profit contribution, is quite simply, a bottom line key performance indicator that displays the proportion of room revenue after commissions, transaction and channel costs are removed. 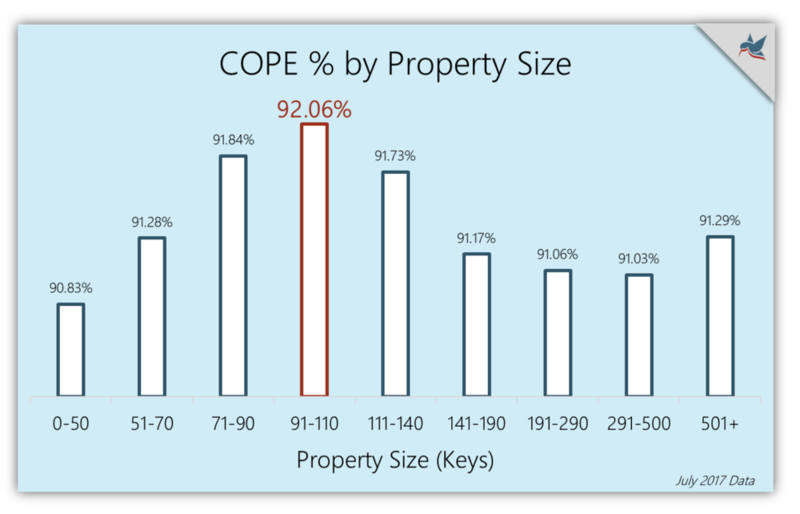 While COPE % an easy concept to understand, the data has not always been easy to obtain. Only Kalibri Labs has been able to aggregate the cost of acquisition data from our hotel partners across the industry at this scale. Therefore, COPE % is new terminology to many and needs its own introduction. COPE ADR is the room revenue the hotel keeps after individual costs of acquisition per transaction are removed and COPE % is the proportion of COPE ADR to Guest Paid ADR. Most hotels are good at tracking ADR by channel, and they understand that certain channels drive higher rates. But what happens to those ADRs when you begin to factor in the commissions and transaction fees associated with each reservation. Identifying your COPE percentage in each channel is the first step in improving your channel mix. Tech titans and third-party intermediaries have invested millions of dollars to simplify the online booking process and aggregate demand through their own channels in an attempt to attract users with a smooth and convenient user experience. While this can provide options to users and extend distribution, it can also lead to a spike in costs, if not tracked continually. Track COPE % at the U.S. level or in your specific geographic markets of interest in the Hotel Industry Performance Overview (HIPO) report. In our next segment we will review Loyalty Contribution, its growth and importance in tracking across the industry.